Having a passionate interest in a wide range of architectural opportunities, Hank Quigg is always looking for new and challenging projects. Mr. Quigg strives to provide his clients exemplary representation through both the pragmatic and aesthetic aspects of each project. Understanding a building's potential environmental and social impact, he is careful to study its proposed surroundings to insure site specific exterior design compatiability. He also strives to create unique yet familiar and inviting interior spaces. Mr. Quigg has exemplary communication and relational skills, which enhance the relationship between all parties involved in a project. His portfolio includes office buildings, warehouses, restaurants, shopping malls, strip centers, lifestyle centers and over 100 bookstores. Jim Corkill brings to Richmond Group 35 years of experience, from both the practicing and teaching ends of architecture. Prior to joining Richmond Group, Mr. Corkill was an educator in the College of Architecture at the University of Oklahoma. As an architectural practitioner, he brings from his experience in teaching, unique skills in team management, training, and coordination. He is skilled in all aspects of project development from design through production, and the final stages of project management. 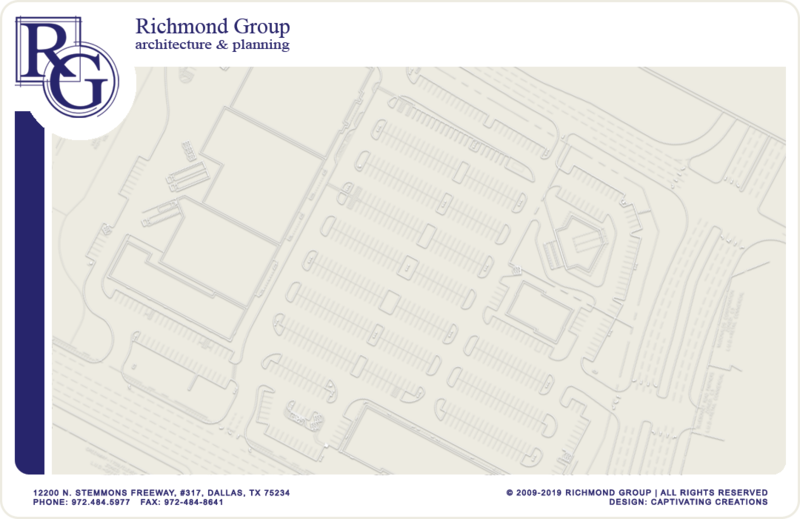 His portfolio includes office buildings, restaurants, stand-alone retail stores, shopping centers, healthcare centers/facilities, manufacturing and grocery stores. Bachelor of Interior Design, University of Oklahoma, 2009. Jenna Sellers has been with Richmond Group since 2006. With a keen sense of graphic layout and composition, she delivers a fresh approach to design and drawing presentation. Her strengths lie in design, graphic presentation, attention to detail, and construction documentation. Her portfolio includes private residences, restaurants, religious facilities, hospitality, retail and office interiors. Ms. Quigg has been a part of Richmond Group from the beginning and serves as Office Manager, Executive Assistant and Financial Officer.